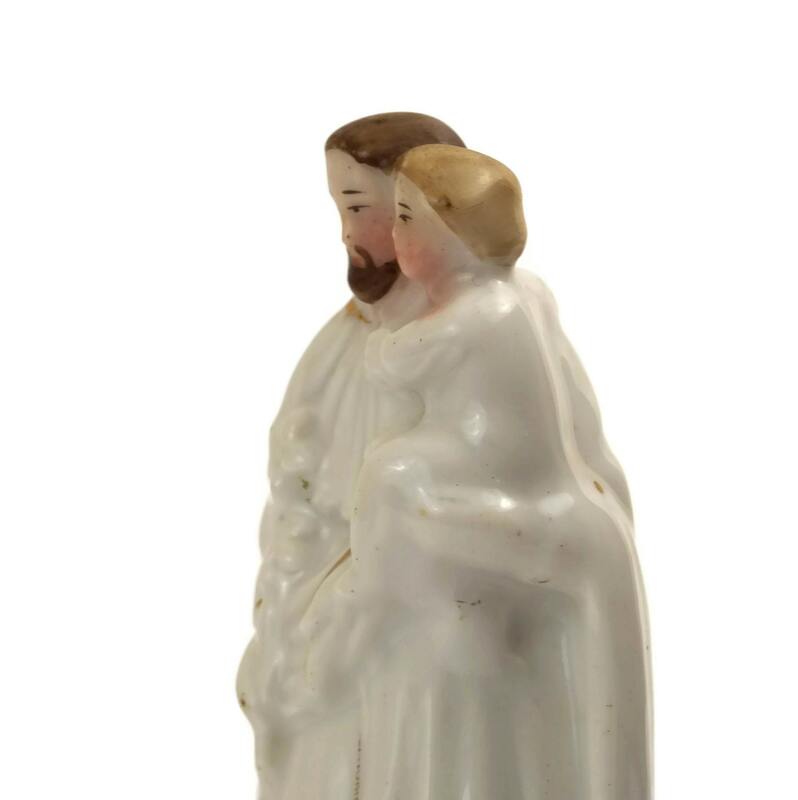 A charming antique miniature statue of Saint Joseph and the Infant Jesus. 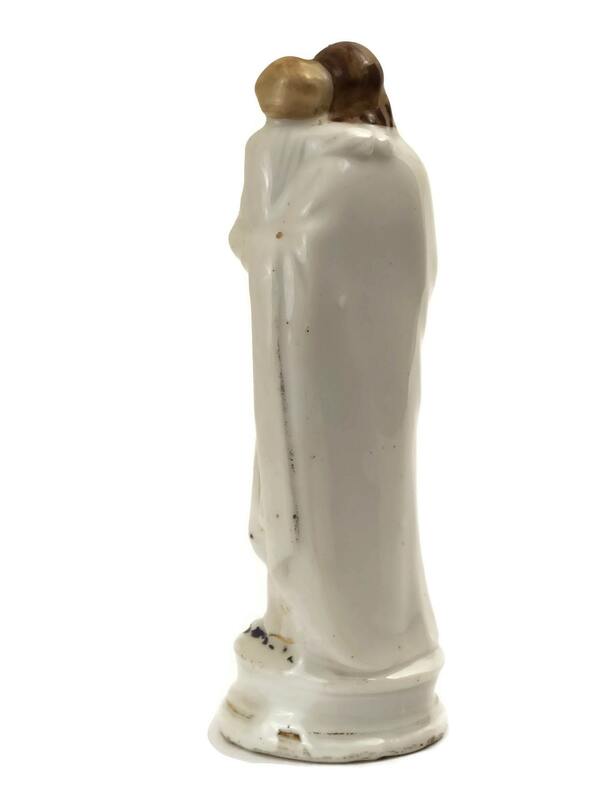 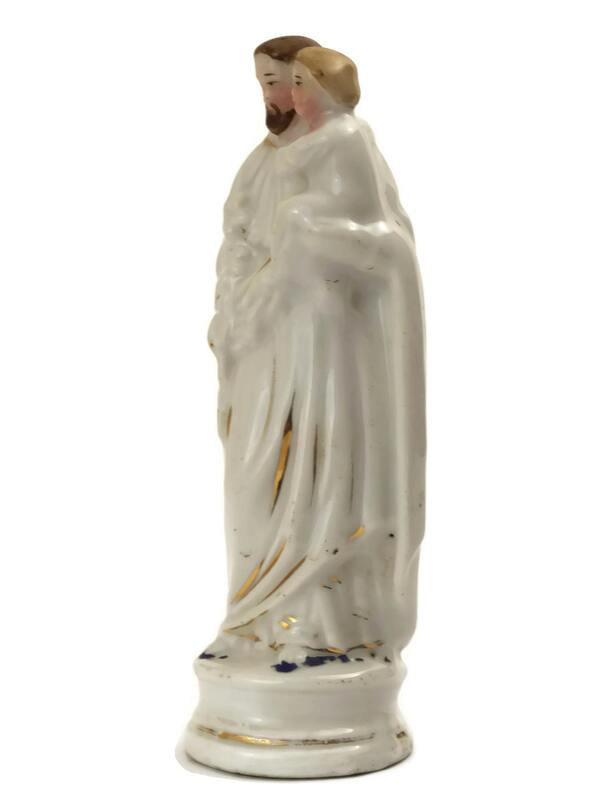 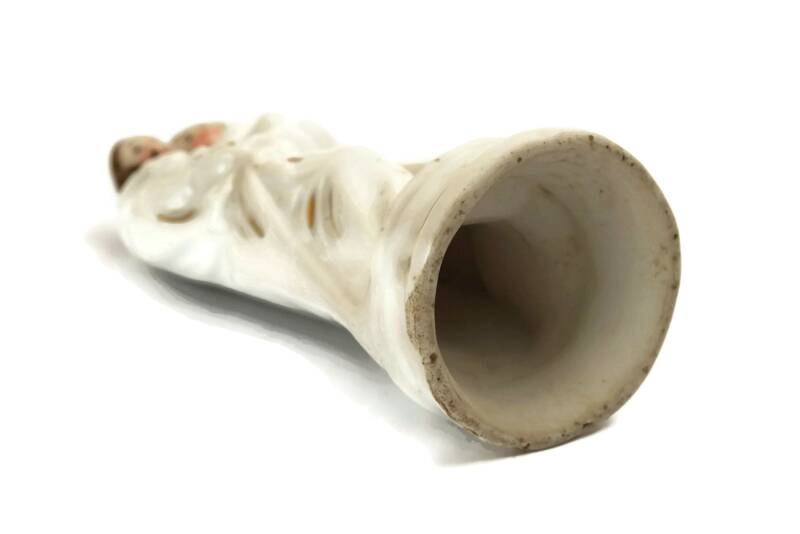 The small religious figurine dates from the 1800's and has been created from porcelain. 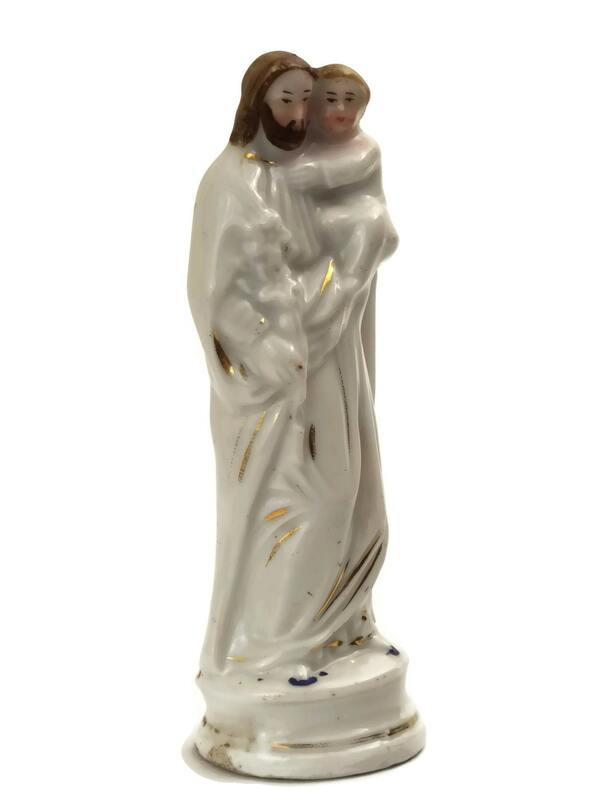 It has been hand painted with fine details and features gold accents in places. 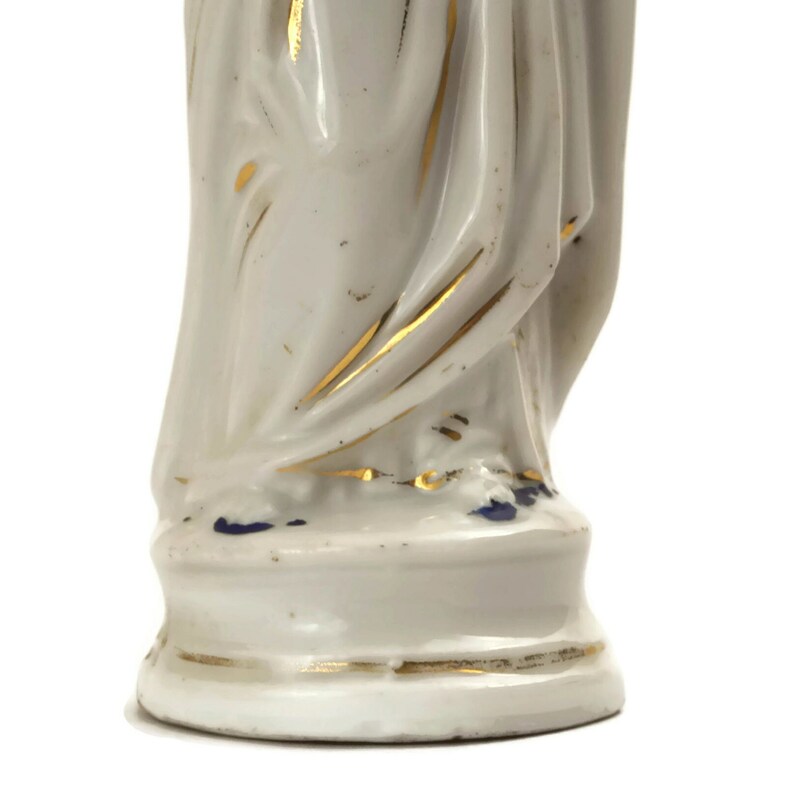 (10 cm x 4 cm). 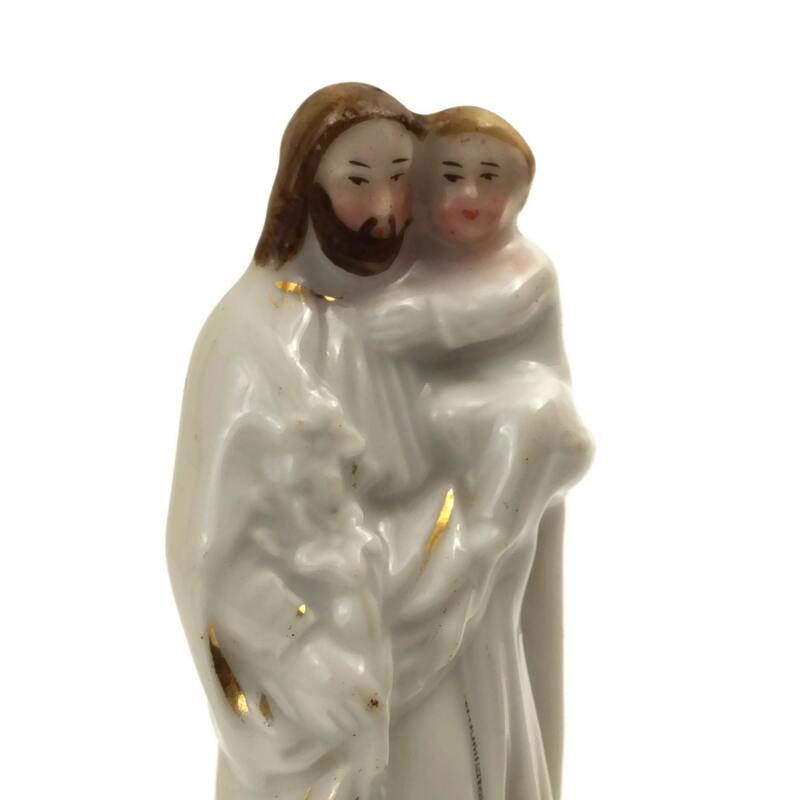 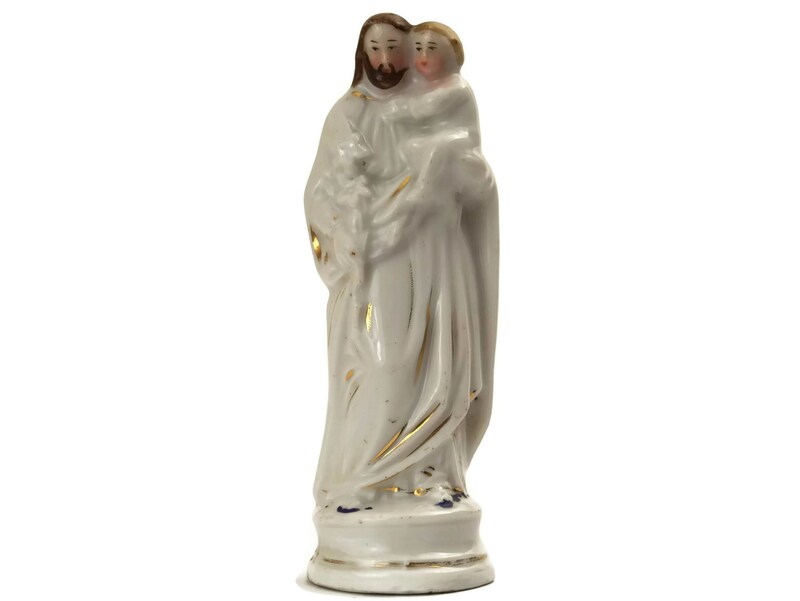 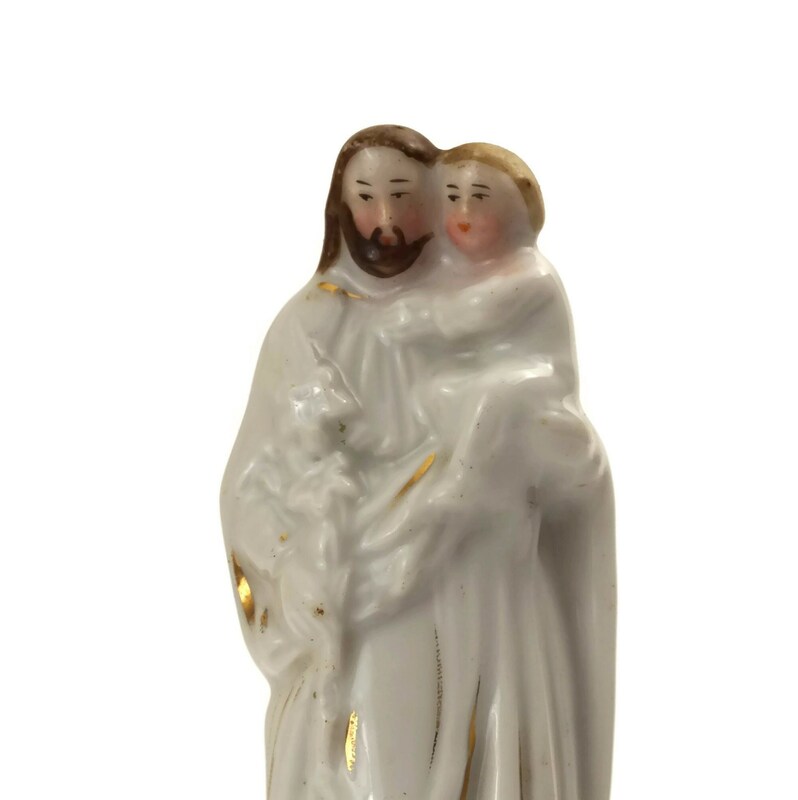 The statuette of Jesus and Saint Joseph is in very good condition with light wear.